How to shoot a panorama? What photo equipment to take a panorama? 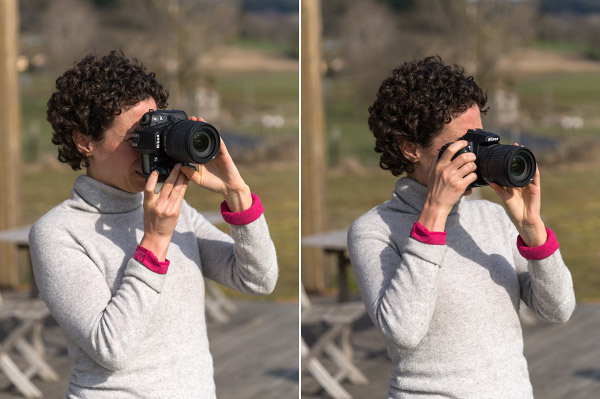 Let's start by reviewing the settings of your camera that you need to control to improve your chances to make a panorama that will stitch correctly. 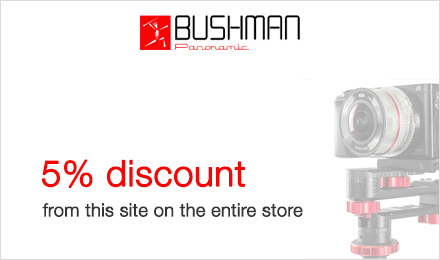 Then, we'll take a look at an accessory very often useful: a panoramic head. But why then would we buy a special head called panoramic head? How does it work? How to do your best with your camera in hand? How to take the photos to stitch? 1 - If you can, set the exposure in manual mode (M) - You're the one deciding the exposure of your photo and above all it will be the same for all the photos so you won't have the problem afore mentioned. Piece of advice! It's really better that all the photos have the same exposure, and if you set your camera in full automatic mode, there can be big luminosity differences that will be visible, above all in the sky. 2 - If you can, set the diaphragm around f8.0 / f11.0 - It increases the depth of field thus the really sharp focusing zone. Additionally, it allows to have less vignetting hence less darkening in the corners and at the edges of the photo and a sharpness at the edges of the photo. Very important! Piece of advice! Certain cameras allow to automatically correct the vignetting of the photos if you're working in JPEG. Select this option. 3 - Focus with the autofocus THEN DEACTIVATE the autofocus - panorama software doesn't like photos taken with different focuses too much. 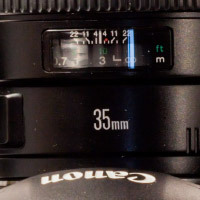 4 - Don't always choose the shortest focals but try 50 or 35 mm (or 24 mm in APS-C format) - Don't forget that the width of the panorama is given by the number of photos. You can stitch as many as you want... up to 360°! If a building is really high, don't hesitate to frame upwards and if it really doesn't fit, step back and if you can't, then yes, you may choose a short focal!!! I'm kidding of course, but really I don't like too short focals in panoramic photography. 5 - If you want to get the best quality, shoot in RAW but then I invite you to read my complete guide in 14 steps of photography by stitching ! You thus have to take photos that slightly overlap. 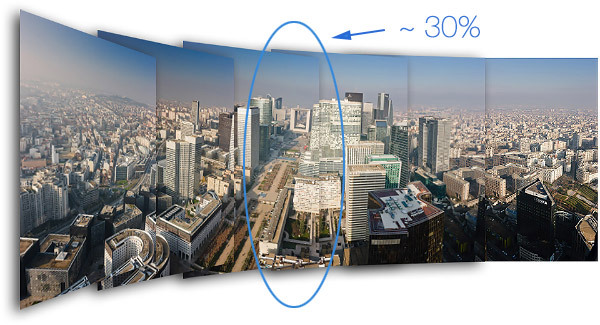 The software will use this overlap zone to stitch the two photos together invisibly. The ideal overlap rate is about 30%. Why is that? Why not more or less than 30%? Piece of advice! The photos need to overlap about 30%. It's the ideal compromise. Below it's risky - though possible - if there's a problem of exposure and above, it forces to make "too many" photos but if you have to choose, if you're taking the photos with your camera hand-held, it's better to have more than less overlap. It doesn't matter! 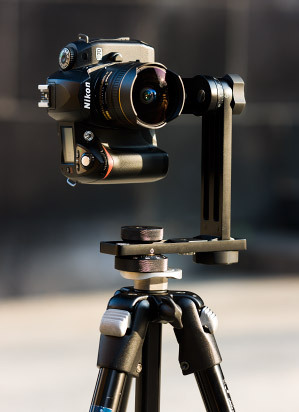 Direct the camera horizontally allows to shoot a wide panorama with less photos, that's all, and in return you won't always be able to photograph the top of a building or a church. Finally, your final file will be shorter in pixels. Say you use a 24 megapixels body thus 6,000 x 4,000 pixels; if you're holding your camera horizontally (landscape mode), your final panorama will "only" be 4,000 pixels high while it would have been 6,000 pixels high held vertically (portrait mode). For a same panoramic field of view, you'll just have to take one, two or three more photos! 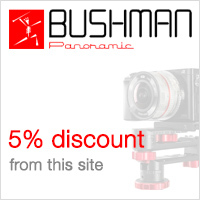 The rotation of the camera, essential point in panoramic photography! Naturally, anyone would turn with the camera around him as in the schema here on the left (A). But it turns out it introduces a big defect in the stitching of the images. Above all if you're shooting close and distant subjects at the same time in your panorama, your panoramas will be full of bad stitches as in the example below. That's the number 1 problem in panoramic photography by stitching. When you shoot photos with your camera hand-held, the stitching are very often of a less good quality than with a panoramic head. The overlap zones look like the photo below, above all if you don't really pay attention to the way you're rotating your camera relatively to the ground. 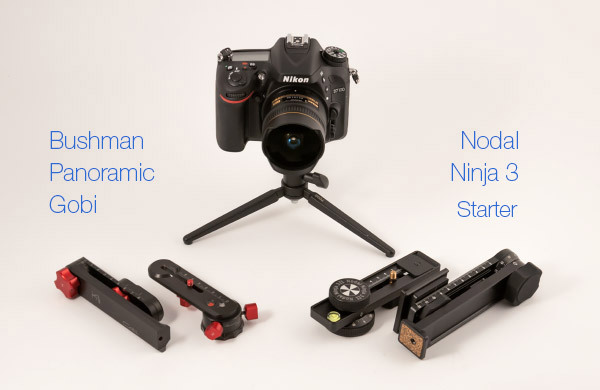 In fact, the camera and its lens have to rotate around an "ideal" relatively to the ground that we call, most of the time, nodal point or entrance pupil (as in the schema above on the right (B). When the camera rotates around that famous point, the photos are most of the time perfectly stitched (because there can sometimes be another problem that materializes the same way.) 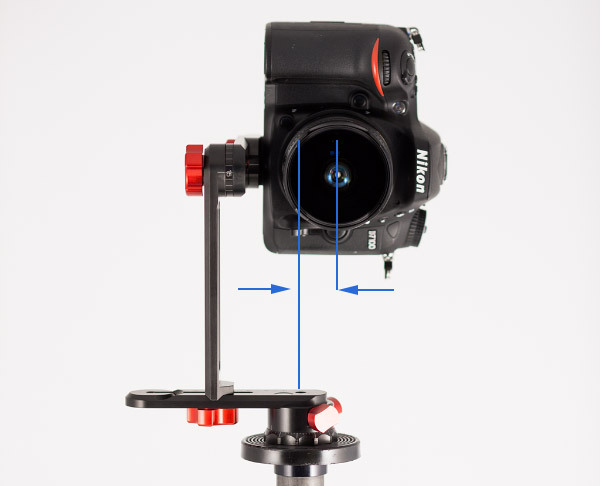 Anyway, whether you shoot your photos with your camera hand-held or on a panoramic head that we're going to see now, it's really better that the camera rotate around this ideal rotation point. 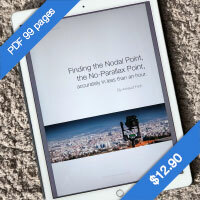 It allows to fix the camera on a tripod at the ideal rotation point: the nodal point. It is notched on its rotary axis in order to turn your head exactly the number of degrees you need between two consecutive pictures. No need to look through the viewfinder anymore! Piece of advice! 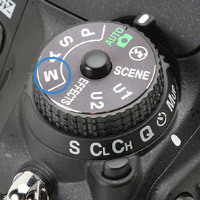 Set your camera back so that the front of your lens (about 1 cm behind the front lens as shown above) ends up above the rotary axis. Even if it's not very accurate, it works well most of the time and it will still be a lot better than with your camera in hand! - If you're using a 28mm focal (equivalent to 24x36) thus a 17mm in APS format, you need to make 12 photos to make a whole turn at 360° WHILE keeping a 30% overlap zone between two photos. Very, very convenient! 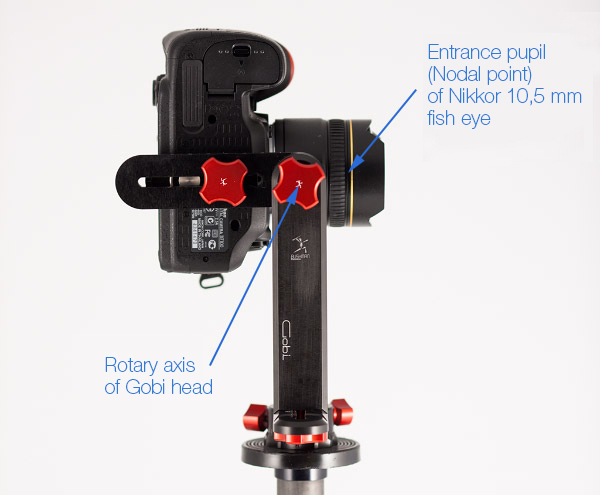 So you install the 12 holes clip above or you choose the Quick 12 clicks on the Gobi head. 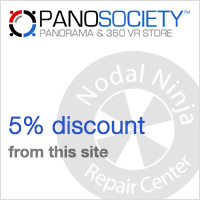 Of course, the notches system changes depending on the panoramic head you'll choose. 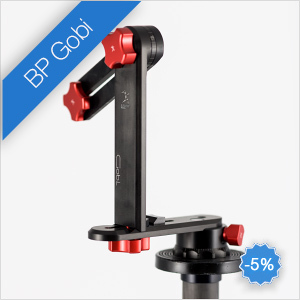 The head Nodal Ninja 3 allows to easily change the brass clip more or less pierced of holes (image above) and the Bushman Panoramic Gobi needs to change base to change notches. Less convenient but more reliable and anyway, we always use the same lens and the same focal! 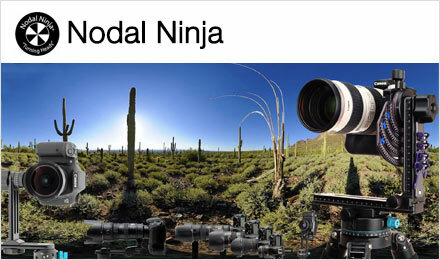 So what panoramic head to choose? * Quick Click optional base: from 4 to 15 clicks. ** several rotators: basic (brass clips) or RD-16. 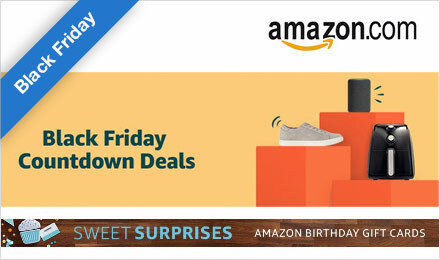 Caution: when you place your order, carefully choose the number of clicks on your base. 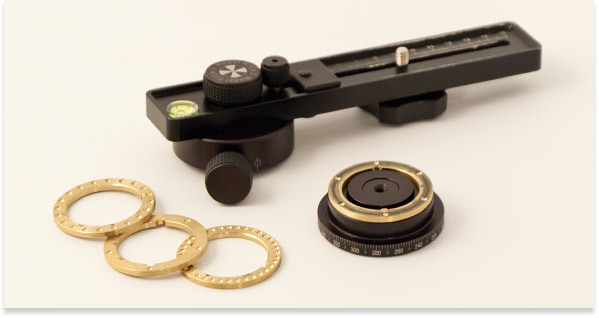 15 clicks for a 35mm; 12 clicks for a 28mm; 10 clicks for a 24 mm and 8 clicks for a 16-17 mm. Quick Click optional base: from 4 to 15 clicks. There are several optional notched rotators RD-8, RD-16 around $150. They allow to change easily the number of notches between two photos. It's very convenient but quite expensive and heavy. Number of notches: from 3 to 24 notches.